Let her style bloom. 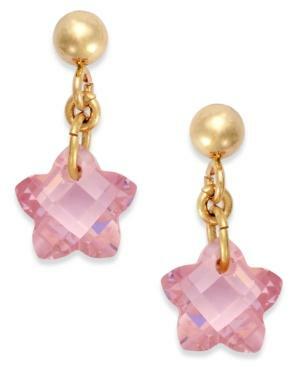 These sweet drop earrings feature faceted pink cubic zirconias (6mm) set in 14k gold. Approximate drop: 1/2 inch.